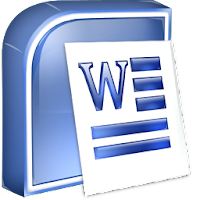 Microsoft Word is an extremely easy tool to start using. However there are lots of interesting features “under the bonnet”. Some of these features can save you a lot of time when producing documents. 1. Oops. I left Caps lock on! We all know that feeling. You are typing away merrily and then you look up at your screen to realise that you had hit the Caps Lock button. Now everything you just typed is in the wrong capitalisation. Don’t despair. Highlight the text and goto the Format menu and select Change Case from the drop down menu. Then just select your desired case from the list provided, which will probably be tOGGLE cASE. 2. While we are talking Cases. Highlight your text and click Control Shift A to set it all to Upper Case. Control Shift K will set it to Small capitals. 3. Moving quickly around your document. Try these shortcuts to get around your document quickly. Also, with later versions of Word there is a clever little button beneath the vertical scroll bar called the Select Browse Object. Click on this and select one of its options to browse through your document going straight to the next table, graphic, heading etc. 4. I’m lost. Where was I? Forgot where you just made a change in your document? Try pressing Shift + F5. This will take you back to the last place you made a change. You can do this two more times to go back to the two previous changes. One of the annoyances of the Find screen when you are looking for occurrence of text in your document is the fact that it always seems to appear right over the text your are looking for! However there is no need to keep the screen open. Once you have used the Find command to find the first entry, close the Find screen. You should notice that the small double arrows below the vertical scroll bar on the right of Word have changed to blue. Click on these to go up and down your document finding your text.